Revisiting the “Arab NATO” Idea: A Futile Effort? Trump administration officials are trying to assuage the concerns of Washington’s close allies in the Middle East about the American president’s leadership and the White House’s flip-flopping on foreign policy issues. Washington’s top diplomat, Mike Pompeo, is stressing to American allies in the region that the Trump administration remains fully committed to backing plans for the so-called Arab NATO. Yet it is highly questionable whether this plan for creating an anti-Iranian Arab alliance has any chance of becoming a reality. U.S. Secretary of State Mike Pompeo’s speech in Cairo on January 10 was largely about damage control. Following a series of tweets and statements from President Donald Trump that have sent shockwaves throughout the Middle East in late 2018 and early 2019, Washington’s chief diplomat seeks to assuage concerns about Trump’s leadership held by officials in Middle Eastern capitals. Over the past several days, Pompeo and White House national security advisor John Bolton have been visiting a host of countries in the region, with plans for stops in all six Gulf Cooperation Council (GCC) states following visits to Jordan, Iraq, and Egypt, to emphasize that Washington remains fully committed to the goals laid out by Trump in Riyadh in May 2017. Pompeo’s message was aimed at intensifying pressure on Iran while offering a repudiation of former President Barack Obama’s Middle East policies. Speaking from the American University in Cairo, Pompeo’s message was aimed at intensifying pressure on Iran while offering a repudiation of former President Barack Obama’s Middle East policies. Calling America a “force for good” in the Arab/Islamic world and declaring that “the age of self-inflicted American shame is over, and so are the policies that produced so much needless suffering,” Pompeo’s rhetoric strongly backed up Trump’s narratives about his predecessor. Rather than addressing issues pertaining to human rights, democracy, or inclusivity, Pompeo spoke about defeating the so-called Islamic State (ISIS), protecting Israel, and countering Iran’s ascendancy with an emphasis on the Trump administration’s desire to see the Middle East Strategic Alliance (MESA) launched this year. 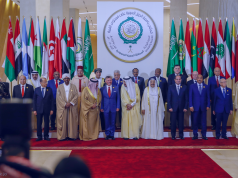 Building on American and GCC officials’ calls last year to launch MESA in 2019—as well as war games (Arab Shield 1) conducted in western Egypt in November with all six GCC states (save Qatar and Oman), Egypt, and Jordan participating—the Trump administration believes that making this Arab alliance a reality is essential for the region’s interests. 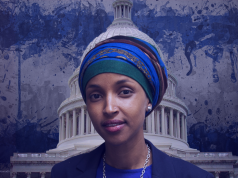 The White House’s objective is largely derived from a vision (ironically from the Obama era) of the so-called “moderate” Arab states taking regional security into their own hands and becoming less dependent on the U.S. as their security guarantor. While in the Omani capital one day before Pompeo’s speech in Egypt, Bolton tweeted: “The White House is laying the ground work (sic) for a Middle East Strategic Alliance. Thank you to Oman for hosting today’s meeting on economic and energy cooperation, and all GCC countries, Egypt, and Jordan for standing together as we pursue a more vibrant and secure Middle East.” The administration’s plan is to launch Arab NATO from the Middle East summit to be held in Poland’s capital, Warsaw, next month. For Pompeo and Bolton to return to Washington this month being able to point to progress on the MESA front would mark a perceived victory for the administration amid its ongoing challenges in terms of devising a credible and cohesive foreign policy agenda in the Middle East. But is this Arab NATO idea realistic given the Arab world’s current state of political affairs? Trump’s top administration officials are likely to find it difficult to make shared fears of Iranian conduct and influence the basis of any alliance that is capable of institutionalizing. 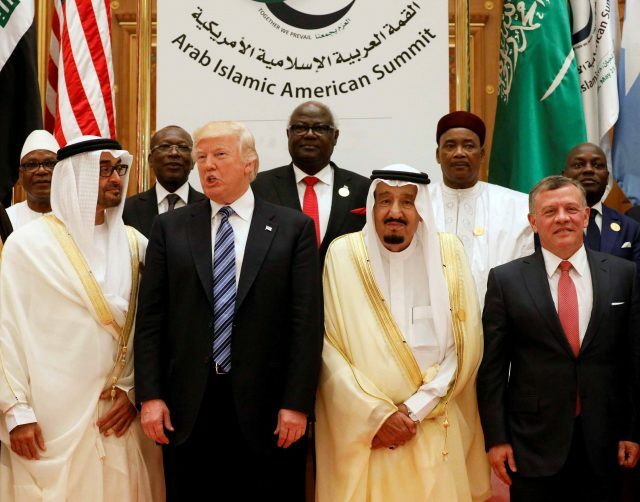 Put simply, there is not a consensus among these Arab allies of the U.S. concerning the nature or scope of the alleged Iranian threat. For Egypt, the perceived menace posed by Tehran is far less grave than Riyadh, Abu Dhabi, and Manama perceive it. Cairo’s security concerns are primarily oriented around the threats of ISIS, al-Qaeda, the Muslim Brotherhood, and other Sunni non-state actors rather than the Islamic Republic and its Shi’a proxies in the region. Likewise, Jordan, while concerned about Iran’s regional behavior—namely in Syria—finds Israel’s settlement growth in the Occupied Palestinian Territories a far graver threat. In the GCC, Kuwait, Oman, and Qatar are, albeit to various extents, keen to capitalize on their mostly warm ties with Iran (and Turkey, in Kuwait and Qatar’s case), to counterbalance the Riyadh-Abu Dhabi alliance. In the GCC, Kuwait, Oman, and Qatar are, albeit to various extents, keen to capitalize on their mostly warm ties with Iran (and Turkey, in Kuwait and Qatar’s case), to counterbalance the Riyadh-Abu Dhabi alliance. All three states have concerns about how the blockade of Doha has damaged the GCC institutionally and left them more vulnerable to the ramifications of brash foreign policy decision-making in Washington, as well as Saudi Arabia and the UAE. Especially in the case of Doha and Muscat, it is particularly challenging to imagine either joining an anti-Iranian Arab alliance as active participants. Put simply, the GCC has become a Council made up of states that perceive major threats from their fellow members, rather than a sub-regional institution comprised of states that share a common understanding of security threats and agree on strategies for countering such menaces. Extremely strong support for Arab NATO is coming from the UAE. Yet Abu Dhabi and Doha entering an alliance, which requires a degree of trust that is totally absent in these two Gulf capitals’ bilateral relations, is simply not imaginable at this juncture, even if both entered the Yemen war as allies in 2015. In the second year of the blockade, both Qatar and the UAE view each other as extremely threatening and destabilizing to the region. Until the Qatar crisis is resolved, Arab NATO plans will be out touch with realities in the region’s geopolitical order. Until the Qatar crisis is resolved, Arab NATO plans will be out touch with realities in the region’s geopolitical order. The continuation of the Saudi-UAE-led bloc’s siege of Qatar in 2019 will unquestionably serve to further frustrate the Trump administration. As Pompeo explained in his speech, “old rivalries” between different regional states have undermined the White House’s ability to work with its key Sunni Arab allies in a grander effort aimed at pushing back against Iran. These words were a clear reference to the blockade of Qatar, which, as the U.S. leadership recognizes, has only empowered the Iranians to more easily exploit divisions among America’s close allies in the Gulf and take attention away from Tehran’s regional conduct. While in Doha with his Qatari counterpart on January 13, Washington’s top diplomat addressed the GCC crisis’ negative impact on the Trump administration’s plans for uniting Arab allies against Iran. “We are all more powerful when we are working together and disputes are limited. When we have a common challenge, disputes between countries with shared objectives are never helpful.” Yet even Pompeo admitted that the two sides appear to be far from making the compromises that a diplomatic resolution of the dispute would require. Perhaps the U.S. applying significantly more pressure on Riyadh, Abu Dhabi, and Cairo to lift, or at least ease, the blockade of Doha could result in the siege loosening, if not ending. But there are no signs that the Trump administration plans to threaten the Saudi-Emirati-led bloc with any punitive measures should the blockade remain in place. Within this context of intraregional conflicts and the complicated state of Arab-Iranian relations creating deep divisions among Washington’s close allies in the region, the prospects for MESA becoming an effective force are dim. In the final analysis, many stumbling-blocks, chiefly the Qatar crisis, remain in place and are unlikely to be overcome this month, or next month in Warsaw. Moreover, the White House’s contradictory messages regarding Iran, Syria, and other issues have cost the administration much credibility, with America’s allies frequently wondering who officially speaks for the U.S. government. For the Trump administration to make progress in terms of uniting Washington’s regional allies in a grander effort to promote stability and defeat extremist forces, the White House needs to pay close attention to Arab states’ concerns about a host of issues with a willingness to comprehend the multifaceted factors that have fueled deep division in the Gulf and elsewhere in the Arab world. Nonetheless, so long as the administration’s foreign policy in the tumultuous Middle East is all over the map, incoherent, and full of many contradictions, the White House will find its loss of credibility with close U.S. allies coming at the expense of Washington’s ability to influence the Arab world’s future in a manner that advances American interests.